See scan - perfect condition. 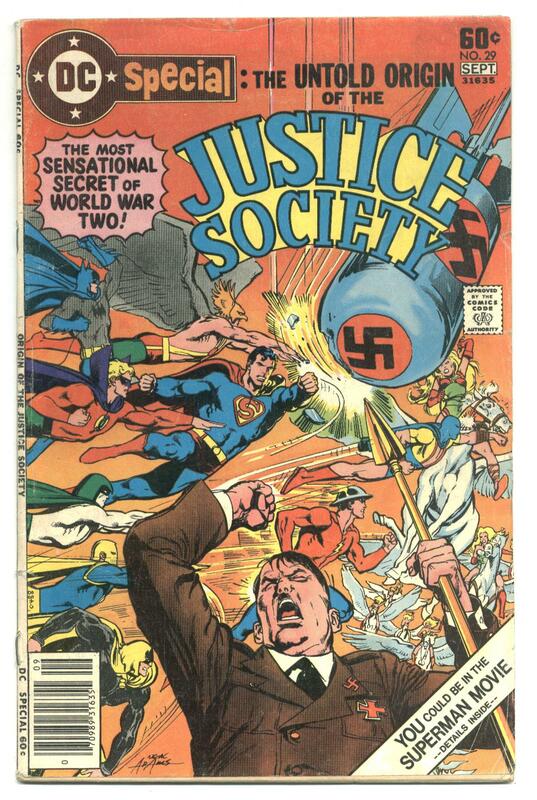 This is a nice and rare issue of the US / American DC Special: The Untold Origin of the Justice Society Comics magazine #29. Scarce issue with Superman fighting NAZI Leader Adolf Hitler holding the Jesus Spear of Destiny. You will find full color stories including all famous comics heros including Spiderman, Captain America, etc. Nice and rare comics collector piece and one of the nice American comic books and mags.